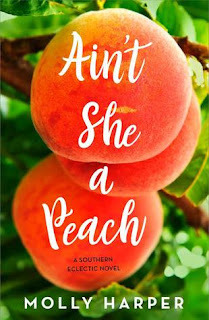 Ain't She a Peach is book 2 in the Southern Eclectic series. I meant to get to the previous book before this came out but failed big time. 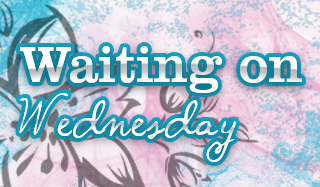 Luckily, I didn't have to read book 1 to follow what was going on in this one since it has a different lead couple. I've only tried Molly Harper's paranormal books so this was a nice change with just as much humor mixed in. Frankie McCready works as an embalmer and county corner at her family's funeral home in a small town called Lake Sackett, Georgia. Frankie is the odd one in town with colorful hair and an interesting personality, her family is pretty quirky too. She's kind of at odds with the newly appointed sheriff, Eric Linden after they had a one night fling and next thing Frankie knows Eric is in town and the new sheriff. Eric doesn't want to look not thorough and has a habit of telling Frankie how to do her job which isn't helping their work relationship. They start working closely together when someone attempts to break into the funeral home though and the tension between them started building. I really appreciated the character growth we see in this novel and loved both the lead characters. Frankie is kind of sheltered and always got her way due to something that happened in her childhood and I was glad to see Eric making her realize that and her taking steps at being more of an independent adult. The romance was sizzling when they finally got around to it but the slow build and constantly butting heads was highly entertaining. Ain't She a Peach is a great read you won't want to put down. I loved that Frankie's character was so unique, I kind of pictured her like Abby from NCIS if you're familiar with that show. She's gone through a lot in her life and it was nice to see her family being so tight knit. Eric is a hunk and I kind of hope they wind up getting more than one book since I liked him so much. I'll have to backtrack to book 1 soon since this was such a hit for me. If you're a fan of Contemporary Romances with a hunk in uniform and a quirky leading lady look no further.